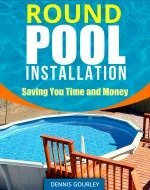 I need to replace an existing Doughboy pool that is surround by a deck. It is 21' round, 48" high. I found the same pool with same width height and number of posts. Please advise most cost effective way to do this. I was told I would have to take the first three boards of the deck surrounding the pool. Then I would need to take the back part of the deck down to give the installers access to install. I also need to take down my fence, which will also require removing landscaping and bushes to give them enough access to get a bobcat in as they need to bring in two tons of sand for the new installation. Needless to say installation is costing more than the pool. Any suggestions on making this easier? And is new sand needed? Hi Susie The last pool I did that was surrounded by a deck we did not require any deck removal and we were able to use the existing sand. Normally I like to add a little new sand when installing a new pool where an existing one had been, but in this situation it was worth being extra careful with the moving and smoothing of the sand. Adding new sand would have been a real pain. We move all our sand in a wheel barrel through standard gates, you might check if this is an option. As for the deck, it is much easier to have access to both sides of the pool, but not absolutely necessary. You may want to see if you could get other estimates, if not maybe the installers would be willing to work with you a little.